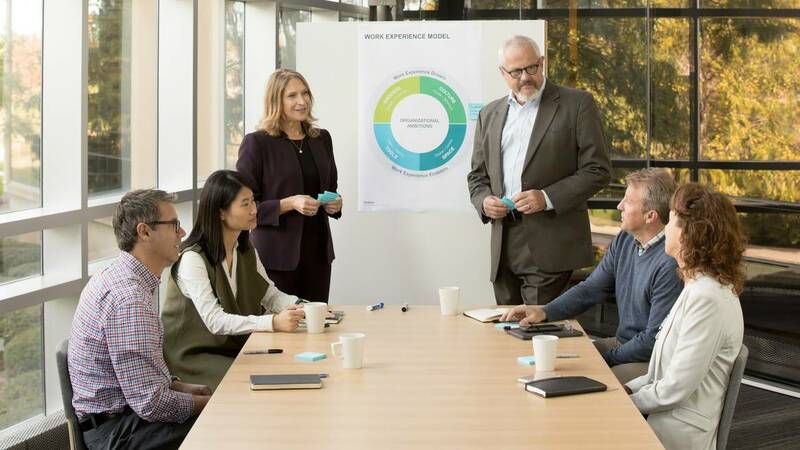 Our Applied Research + Consulting (ARC) team connects clients to Steelcase's extensive workplace research to help them achieve organizational success. Our clients are leading organizations in business, health and education. These partners share our interest in helping people truly engage at work. ARC experiences are tailored to an organization’s specific goals, whether that involves entering new markets, attracting top talent, or tackling unforeseen challenges. Consider the work experience in a holistic way. Our Work Experience Model helps clients understand how their organization’s culture, processes and tools impact their workspace (and vice versa) to support their organizational ambitions. Understand the intricate influence that organizational culture has on performance and take meaningful steps to support desired work behaviors, satisfaction and engagement. As work gets done through formal (as well as informal) channels, how people learn and share informs the work experience. Explore how work happens deep within an organization. Consider how digital and analog tools support the ways information is generated, communicated and applied across teams and the organization. Gain insights into the powerful role space has within the work experience. Learn why offering workers choice and control over their work environment can contribute to a vibrant business culture. Client needs vary and we’re able to scale our approach appropriately. 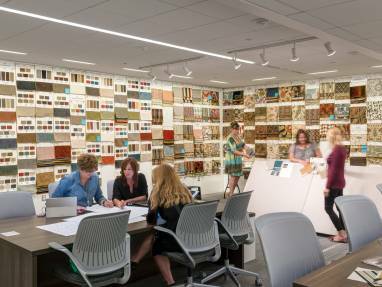 Our team leverages Steelcase’s primary research and experienced consultants to provide guiding, advising and consulting services. Start by gaining insights into workplace behaviors and preferences. Led by local Steelcase experts, our Workplace Tools+Resources sessions offer activities and methods for guided self-discovery and provide an action plan for the work experience. For projects that require greater levels of workspace change, rely on ARC consultants to drive organizational discovery and bring actionable advice on bridging leader priorities and user needs. If organizational transformation is the goal, ARC consultants can provide a cohesive, measurable strategy and dive deeply into an organization’s work experience. Our tailored consulting process delivers actionable recommendations that help realize desired behaviors. 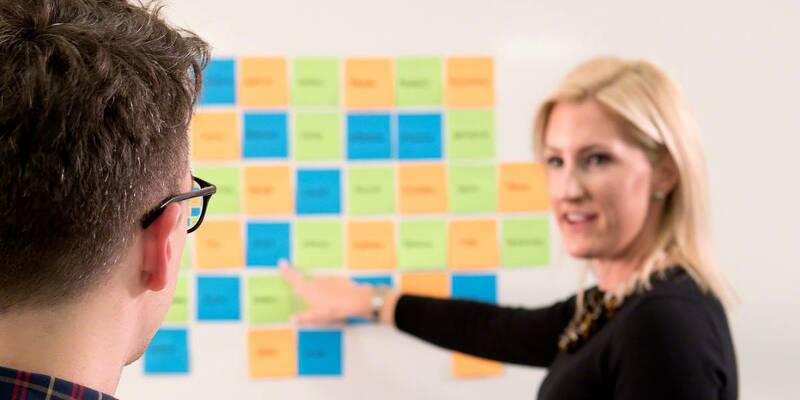 Benefit from Steelcase’s consulting experience like our many clients around the world. Our global team of ARC consultants have been serving clients for nearly two decades. How do you bring back the “buzz” in our schools? Dan Behm, superintendent of Forest Hills Public Schools in Grand Rapids, Michigan, wanted to banish boring and reinvigorate students, teachers and staff at all levels. Steelcase’s Applied Research + Consulting team worked with his district to rethink curiosity, collaboration and communication. “We’re attracting rock stars to come here now.” The new La-Z-Boy generates excitement and engagement. 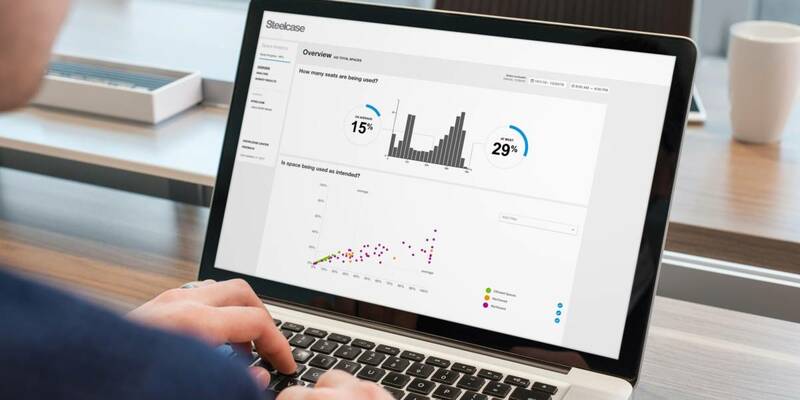 Workplace Advisor – Study — an episodic workplace study — empowers facility managers with easy-to-understand data, giving them the information they need to make the most of real estate. Why Workplace Advisor – Study? helps justify large capital expenditures and improve the overall employee experience.